I.T.O. (Indium Tin Oxide) and I.M.ITO™ (Index Matched Indium Tin Oxide™) are excellent choices for E.M.I., R.F.I., and E.M.P. 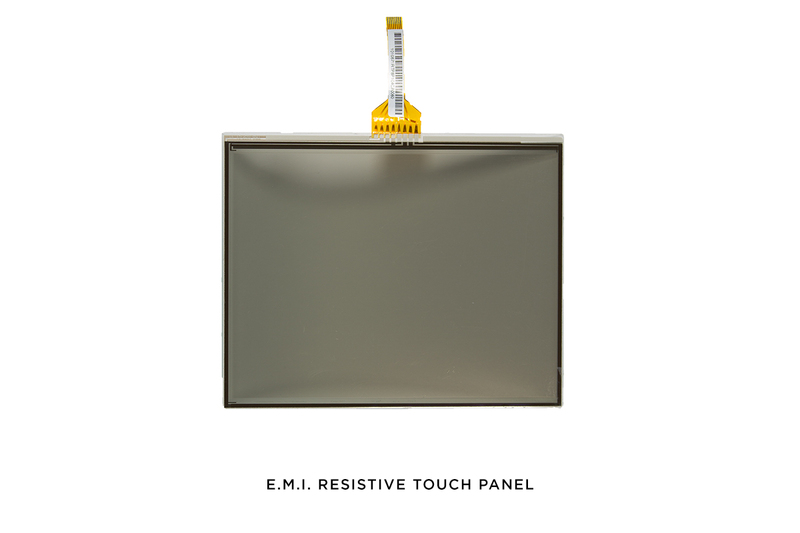 shielding in the growing flat-panel display industry, especially for TFT, Plasma and LCoS displays. Plain I.T.O. 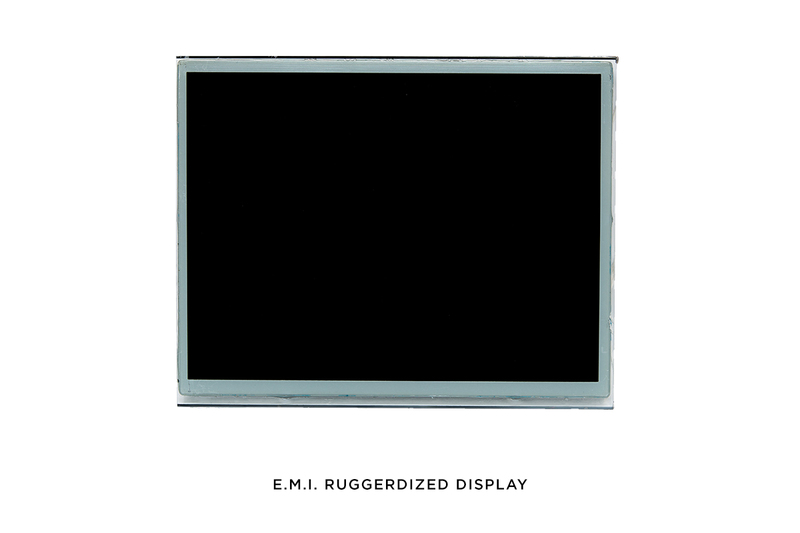 or I.M.ITO™ are used for heater applications in rugged environments. Antistatic requires 1000 – 5K ohms/sq. R.F.I. Shielding requires 500 – 50 ohms/sq for lower frequencies (5 – 50 MHz). E.M.I. Shielding requires 20 – 5 ohms/sq (for frequencies 250 MHz – 10 GHz. E.M.P. 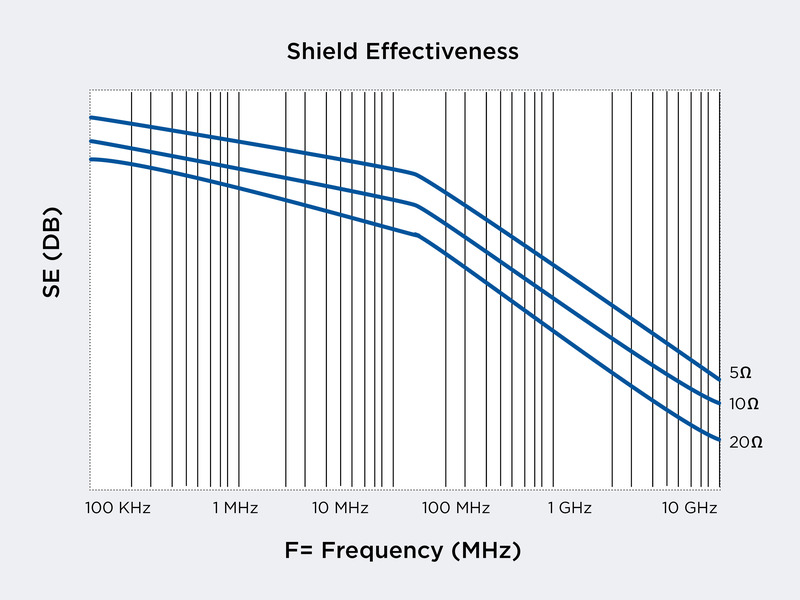 Shielding requires ≤ 4 ohms/sq (for frequencies ≥ 10 GHz. The old and conventional need for E.M.I. Shielding was used for wire mesh. This approach is costly, has poor transmission, and Moire effect. I.T.O. 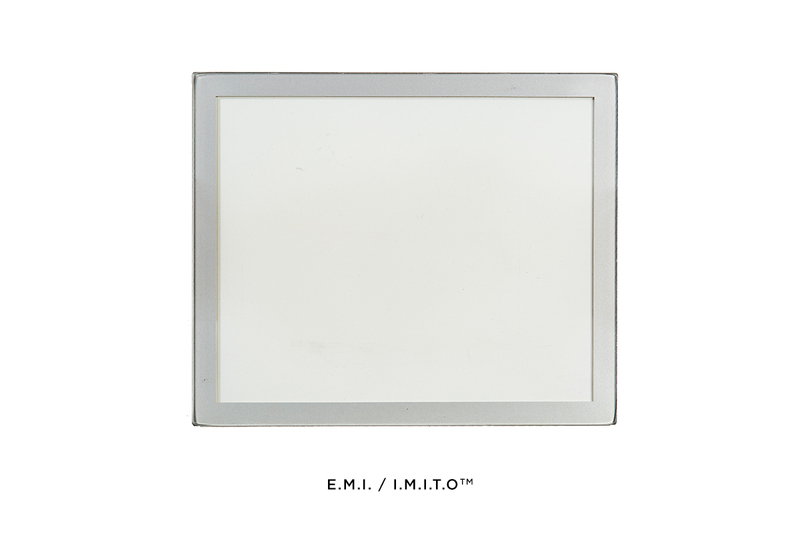 and I.M.ITO™ are excellent substitutes for E.M.I. Shielding. 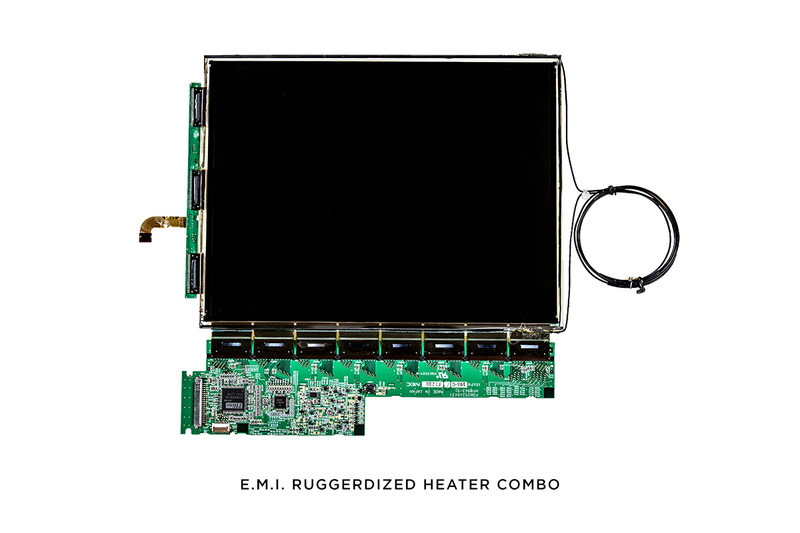 Heaters made with I.M.ITO™ are essential for Ruggedization of LCD Displays.Thin Film Devices manufactures these Heaters, Index Matched to both air and epoxies, Liquid Crystals, and other mediums. TFD invented and pioneered the use of I.T.O. 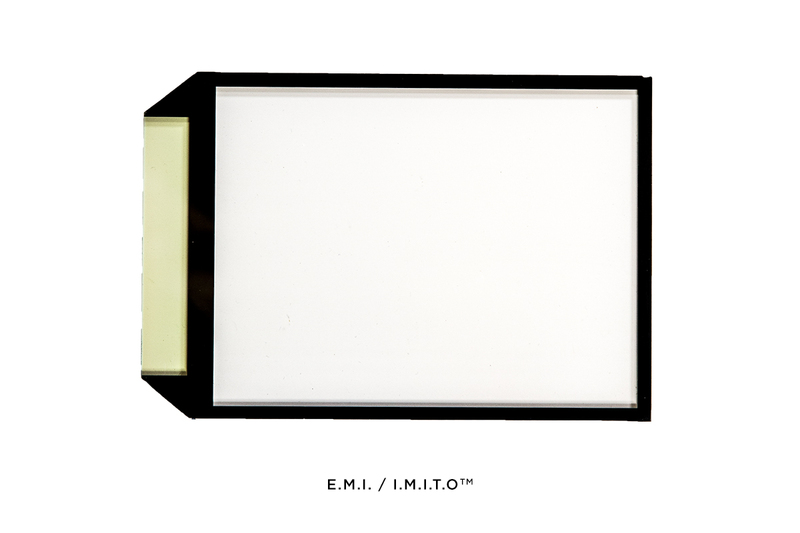 and I.M.I.T.O.™ (Low Reflectance ITO) for E.M.I.-R.F.I. shielding and heater applications. 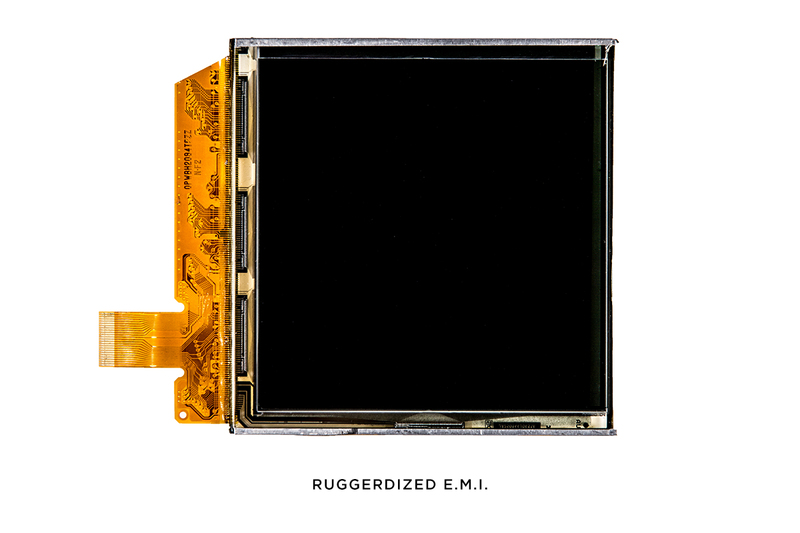 The usage is commonly required in most consumer, military, and OEM applications. The technique is simple and economical. 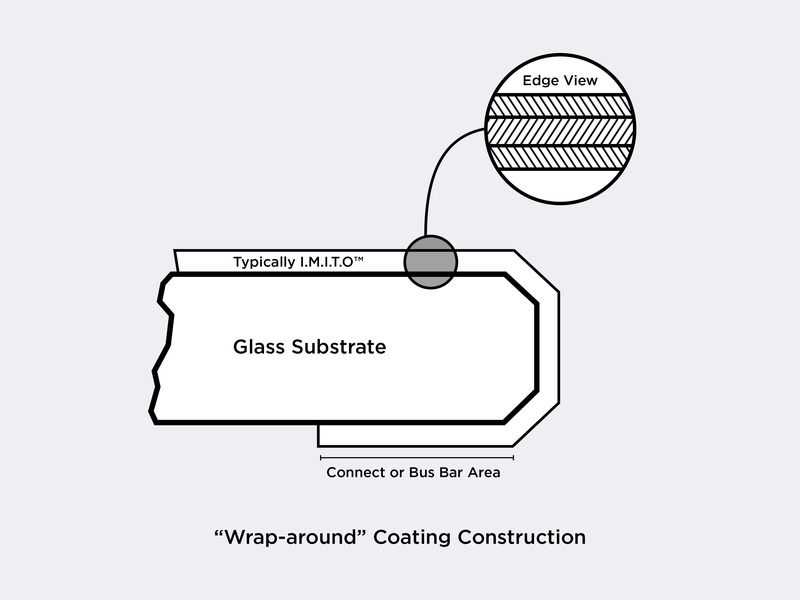 These coatings can be applied on both glass and plastic type substrates. *NOTE: I.T.O. and I.M.I.T.O.™ are interchangeable. 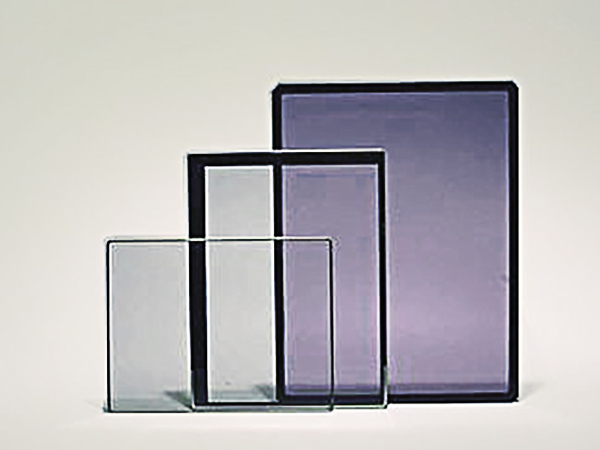 TFD has also developed techniques to apply metallic grids or meshes on materials such as ZnS, ZnSe, CdS, Se, Ge, Si, Sapphire Windows and domes, as well as glass. Notice the photographs below. 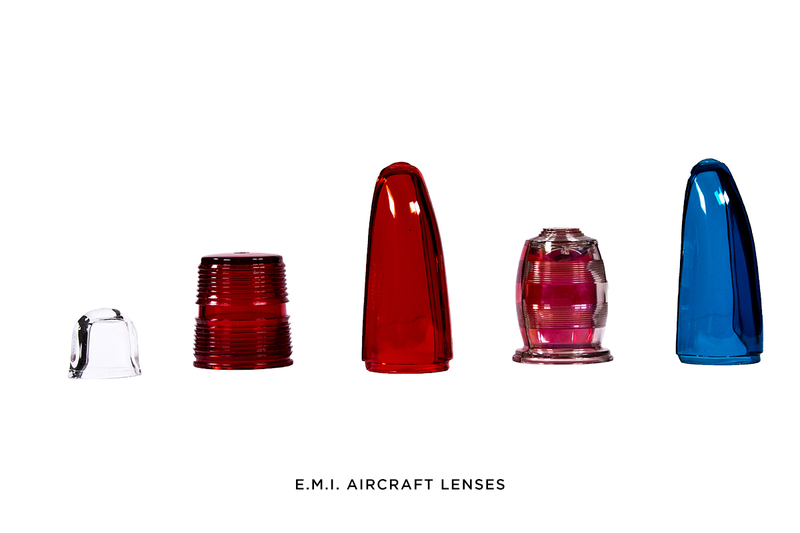 The odd shapes are often a requirement of advanced scientific and military applications. 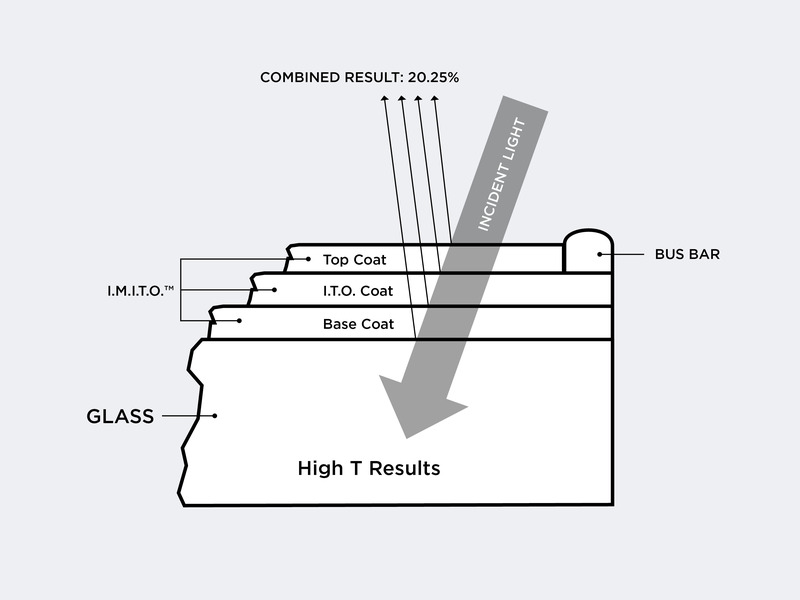 TFD has also developed unique alloys and inter-metallic layer systems. 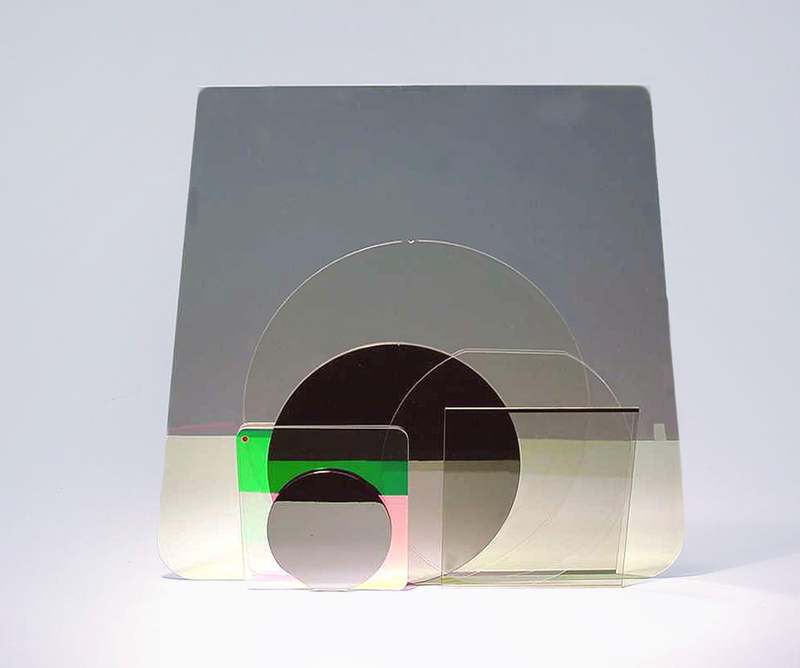 These are applied by a modified sputtering technique and demonstrate superb adhesion and high temperature stability to 350°C without any significant change of thermal coefficient of resistance (TCR ±50 PPM). 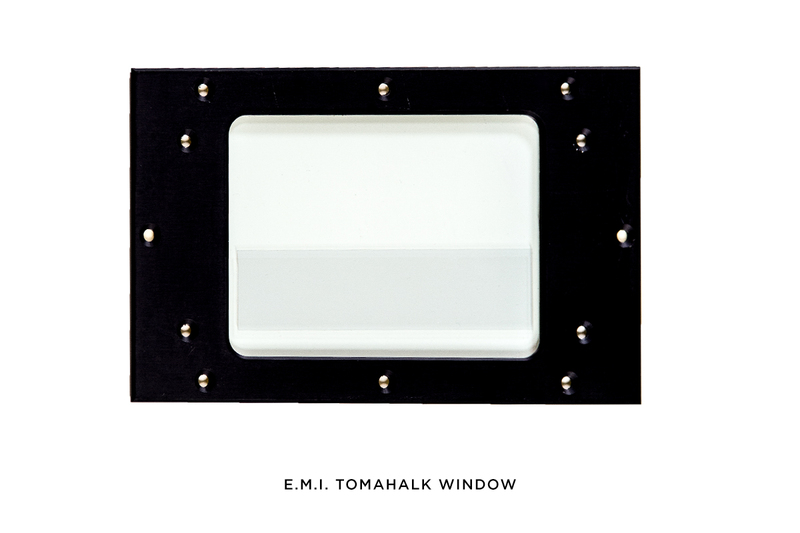 The grid pattern is designed to optimize both transmission and conductivity to achieve the necessary EMI attentuation. 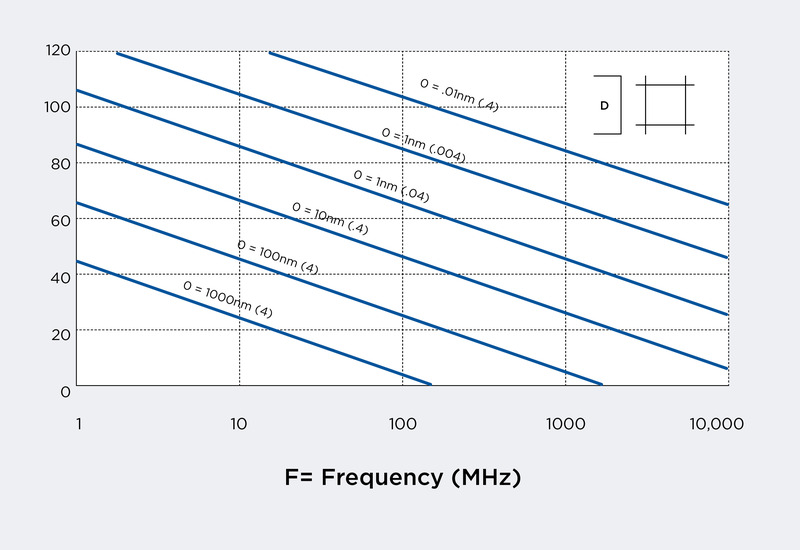 The grid size and attenuation relationship is shown in the graph, which predicts the SE (Shielding Effectivity) versus Frequency. Fine line widths as small as 0.0001″‚ (2.54 micron) are successfully deposited on substrate dimensions as large as 10″ x 10″. Larger grids are applied on surface areas to 14″ x 16″. The shielding effectiveness (SE) is primarily controlled by the aspect ratio (line width) space + line width and the conductivity of the film. The chart shows that the mesh spacing must be made quite small to be effective at higher frequencies, but maintaining a fine mesh line permits excellent viewing through the mesh to values of 92% or better. 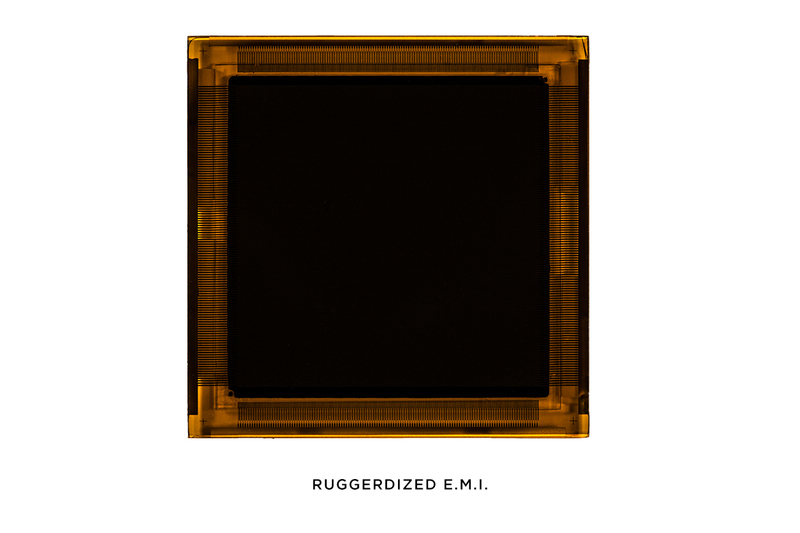 EMI RFI Shielding for visible, NIR and far IR region. High conductivity with high emissivity coating in all the regions: Vis, NIR and IR. Mesh technique is also used as a heater element.